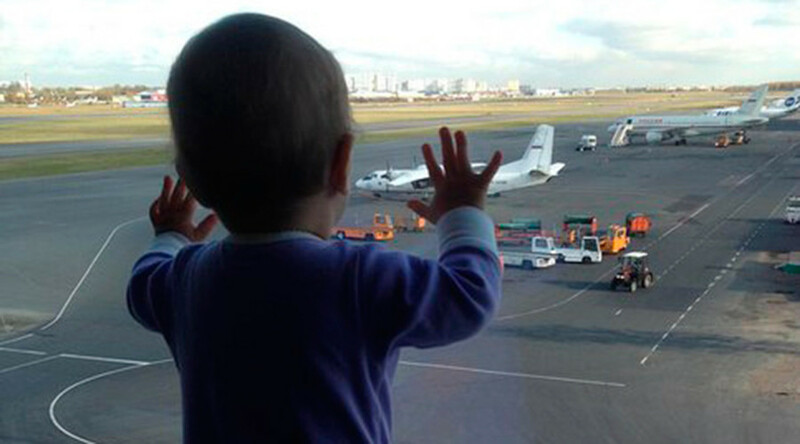 A 10-month-old girl gazing at the planes in St. Petersburg airport before departing to Egypt – this picture of Darina has become the symbol of the plane crash in Sinai on social media. People continue to bring flowers to mourn the tragedy. Darina Gromova was among the 224 people who died on Kolavia flight 7K9268. It was returning from Egypt's Sharm El-Sheikh resort to Russia's St. Petersburg on Saturday morning when it suddenly vanished from radar over the Sinai Peninsula. Her parents – mother Tatiana and father Aleksey – were also among those killed in the crash. “Main passenger. #family. #darinagromova. Pulkovo International Airport Saint-Petersburg New Terminal 1,” wrote Tatiana hours before their plane took off from St. Petersburg to Sinai. Little did she know that this photo would become the grieving symbol of the tragic flight. People across Russia took to social media to say how touched they were by the story of little Darina. The hashtag #mainpassenger has taken to Twitter. “RIP, Little angel,” “I feel pity for these people, especially for this little miracle who was only 10 months old,” “I am sobbing all day,” wrote users on Twitter. Twenty-five children are believed to have been on board, along with 192 adults - nearly 140 of whom were women. The flight disappeared from radar screens 23 minutes after taking off. Those on the crashed Airbus A321 were mostly holidaymakers. The Egyptian Red Sea destination is popular among Russian tourists all year round. An overwhelming majority of people on board were Russian nationals. Three Ukrainians and one Belarus citizen are also reportedly among the crash victims. The catastrophe is the deadliest in Russian aviation history. On Sunday, Russia is mourning the victims of the Sinai plane crash. Dozens of people have gathered in St. Petersburg to pay tribute to the victims. People laid flowers and candles at the place where the plane was supposed to land in Pulkovo Airport. The governor of Russia’s northern capital has extended the mourning period until Tuesday. “I don’t know any of the victims, but I am from St. Petersburg myself and my family is. I have two small children and I just can’t be indifferent when things like that happen,” one woman told RT. “Things like this can happen to anyone, they happen all the time, no one is safe… And it is very sad,” a man holding a small child added. In other countries, as in Macedonia, Belarus, Ukraine, Poland and beyond, people have been flocking to Russian embassies to lay flowers and commemorate the victims.